This book was super hard to read. I was instantly bored and I never connected with any of the characters. Some of the scenes seemed clinical and cold, and others just didn’t do anything for me. Robin was depressing as all get out and Martin just seems to accept things without asking questions at times. Everything just seemed unbelievable and I felt nothing when reading it and when I was done I wish I would have had my time back. Julia Leijon fell in love with writing at the age of twelve, and with vampires a year later. Despite being in her midthirties now, very little has changed. Her one moment of infidelity was when she was eighteen and read Harry Potter and the Prisoner of Azkaban, briefly switching her allegiance over to werewolves in the aftermath. Though she still writes shifters and weres from time to time, Julia now counts herself as a permanent member of Team Vampire. 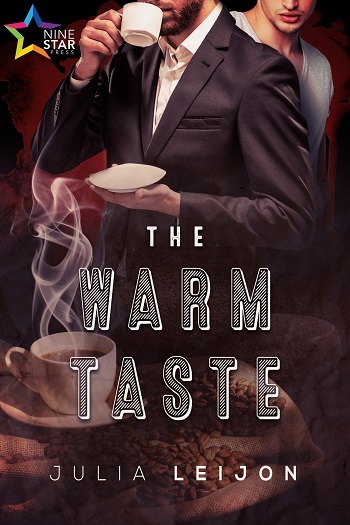 Reviewers on the Wicked Reads Review Team were provided a free copy of The Warm Taste by Julia Leijon to read and review.